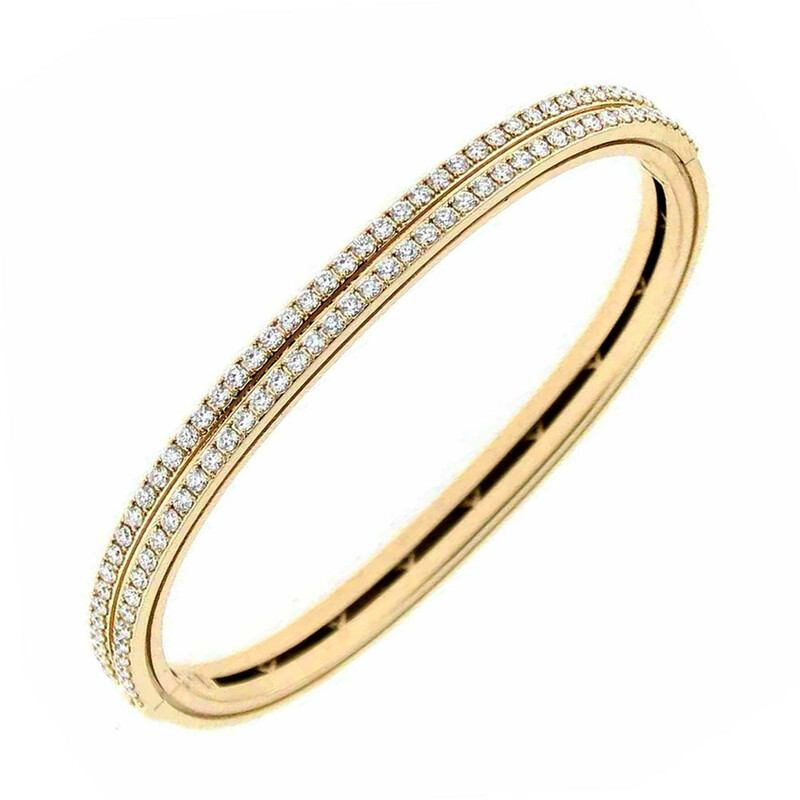 Slip on a stylish sophistication with this bangle bracelet from Roberto Coin's Portofino collection! 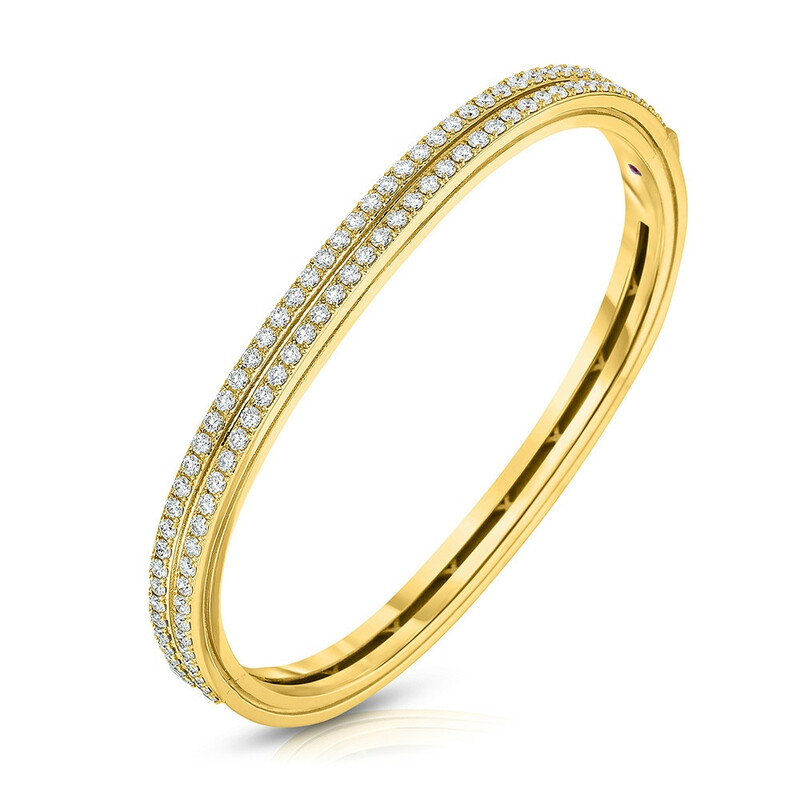 Crafted in 18K yellow gold, it features two rows of white diamonds. A vented interior ensures your comfort. This sculptural Roberto Coin bracelet is wearable art!